If you’re shopping for a new drone, the $99 “PlexiDrone” slated for September comes in a hard shell case you carry like a backpack. When you’re ready for takeoff the pieces snap together. You can snap on cameras, from GoPro, Sony or Lumix. The drone has retractable landing gear. Tap “follow me” on your phone or tablet and the drone will follow you. 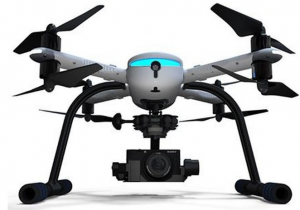 If you have several drones in the air, you’ll get the same shot from multiple vantage points.